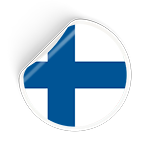 Finland being an EU member state falls under the EU VAT regime. Member states must adopt EU VAT Directives into their own legislation. Non-resident companies with fixed establishments or providing certain types of services or providing services to private individuals have to register for VAT purposes when selling goods or services in Finland. Non-resident companies without fixed establishments need not to register if the reverse charge mechanism applies. The application for the VAT registration is made using the special application form. The application should be submitted before commencing business operations in Finland. Where the non-resident business has a permanent establishment in Finland, the competent regional tax office for registration purposes is usually the one where the permanent establishment is located. If the non-resident business does not have a permanent establishment, the competent tax office is the Uusimaa Regional Tax Office. Detailed rules regulate reporting requirements of Finnish transactions for Value Added Tax purposes. These include: invoice requirements, timeliness for an invoice to be issued, invoice and credit notes corrections rules, foreign currency reporting requirements and exchange rate sources, correction of previously submitted returns and accounting records that must be maintained for VAT purposes. Returns must be made monthly. The time limit for filing the VAT return is12th day of the second month following the tax period when filing electronically or 7th day of the second month following the tax period in question when filing the returns on paper. The Intrastat discloses details of movements of goods between Member States which take place for commercial reasons, recording the movement whenever goods enter the territory of Finland from other Member States or leave it to other Member States. Intrastat declarations are submitted monthly. The due date for submission is the 10th working day of the month following the reference period.